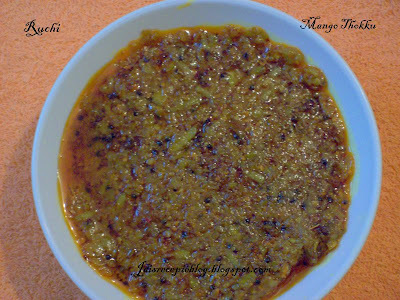 Here is a simple and delicious mango thokku recipe. Mango thokkuis a pickle prepared in kitchens in the South. When mangoes abound in the Summer, we prepare this pickle for the season. The thokku, properly stored and maintained, lasts for up to 6 months. It is prepared using green sour mangos (kairee's). The taste & texture of this thokku can be varied by adding different spices& can also be a matter of personal taste.This is will suitable with hot plain rice and also good with idli , dosas ,Chapati, paratha, upma etc. 1. Dry roast the fenugreek seeds first. 1.Grate the Mango. Keep aside. 2. Heat oil in a pan and add mustard seeds. Allow spluttering. 3.Now add turmeric powder and the grated mangoes slowly. 5.Add the salt and chilli powder, and turn the heat down to medium. 6.Keep stirring from time to time. 7.When the quantity reduces to two-thirds of the original amount, add the rest of the oil and stir for about 2-3 minutes. 8.Add the methi powder and then add jaggery stir thoroughly. Keep on the stove for a minute more. 9.Remove the pan off the heat. Keep aside uncovered until cool. 10.Store in a clean, dry bottle, and cover tightly. 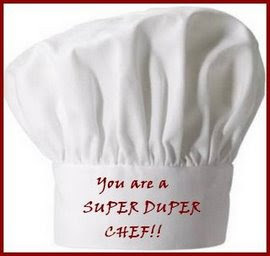 Vidhas has passed me this lovely the super duper chef Award to me, Thank you so much my dear :).I feel honoured. I like to pass this Award to all my blogger friends . Thokka parthona naaku ooorardhe..With curd rice, it is like heaven..Ungakule nanna iruka ipdi tempt panreenga enga elloriyum..Not fair.. Wow...I can taste the tanginess of the mango. Nice recipe. jaishree thokku looks very much inviting, it is so mouth watering. that is a deleeeeeeeeeeeeeeeecious thokku Jaisree. goes great with curd rice.. super. Mango thokku is my favourite.. The irresistable tangy flavour with spices.. Hmmm.. Lovely! I ahve soemthing for u in my blog. Pls accept! yummy!!! tangggggyyy .. drooling.. looks delicious! Mouthwatering.. i am also making same method.. nice click.. enakku enga nalla mangai kidaikka mattenguthu..
nothing can get better than this delicious mango thokku. if i can only get some real, raw mangoes (not those yellow ones). thanks for sharing the recipe jaishree. i am bookmarking it. 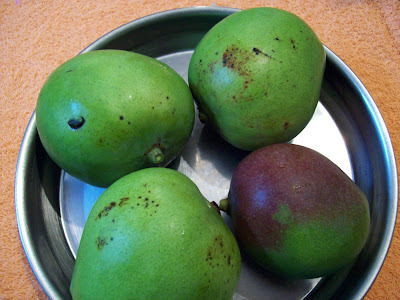 Mango thokku parthala sapadumpola erukku. Will surely give a try. super thokku...thayir sadam koode kalakala irukkum!